Tell me about Vantastic Vintage? 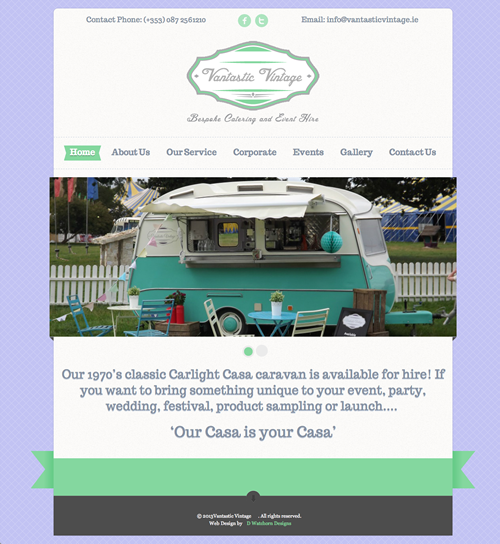 Vantastic Vintage is a restored caravan aptly named, Lil’ Peach she is a 1970’s Retro Carlight Casa caravan boasting a lantern shaped roof with a classic mint green and ivory exterior. 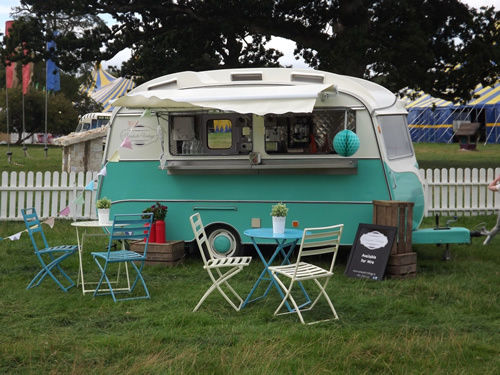 With a vintage look to match her vintage name she is immediately recognisable and is turning heads at any event she rolls ups to. 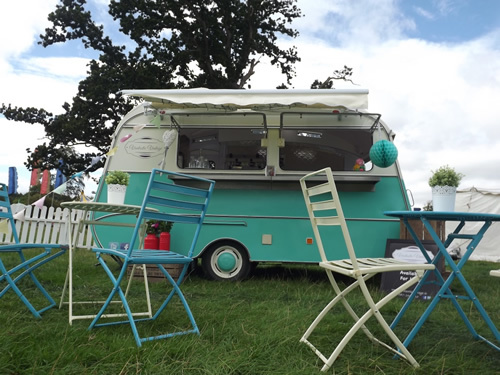 The Retro Carlight Casa has been beautifully restored boasting a modern day kitchen with a barista coffee machine so we can provide that something different for your party or event. What got you interested in setting up this type of business? 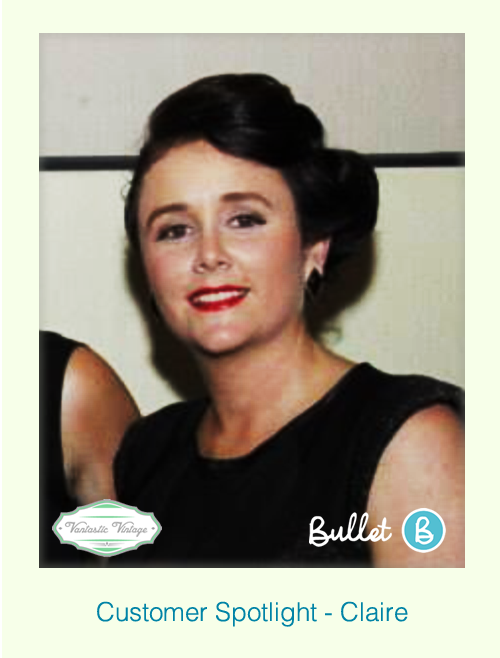 I am a mum of a two girls Keeva (7) and Niamh (4) and as a hobby I loved baking and cooking from scratch then that hobby grew to making wedding/birthday & christening cakes and event catering for family and friends, this is where the seed was planted and as we all know seeds grow and from that I looked at getting into event catering but wanted to add something head turning hence the caravan! I got the idea of the caravan from a TV show and the rest as they say is history… or for me a new start in an exciting industry! What are some of the worst mistakes you’ve made with Vantastic Vintace? So far so good but we are only 6 months old and nobody is perfect so might have to come back to you on that but hopefully not! If Bullet as getting into the events game what advice would you give us? Research your market listen to what the client wants and keep up with trends! I assume PR & Event companies are a big part of your business, what advice would you give to startups looking to get on their radar? They are huge part of what we do alright. PR & Event companies want to offer clients something unique that no one else has done before so try stand out from the crowd and maybe do something that really catches their attention. 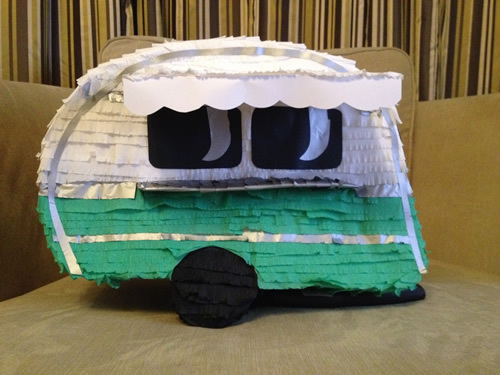 We recently got a Piñata made in the shape of caravan and filled it with treats and business cards and sent it to some PR companies to get Lil Peach noticed! We think it worked and hey who gets Piñata’s delivered to the office anytime!! At Bullet we’re great fans of pop-up shops as a way to test markets before signing on a lease, would you agree or disagree? I’m a huge fan of pop up shops. The concept is great and allows you to test the market before signing rental contracts or great to just try something different for a while. Great way to get noticed if it’s launched correctly. Is ‘Caravan of Love’, by the House Martins your favorite song? Ha, that would be my second favorite but I have a soft spot for Caravan by Van the man Morrison. If you could fix any part of your business what would it be, and why? Well social media is a huge part of my business and I just need to get better at it, still getting use to Twitter so not the business I need to fix but more my social media skills. How do you do your Marketing and Sales? Our marketing and sales are a work in progress and I’m still learning how to best market Lil Peach to drum up more sales but watch this space. Danny Watchorn, built you a beautiful retro website, how did you find the experience of going online? Very easy as all I had to do was tell Danny what I wanted the site to look like and he came up with the rest.